If you missed Part 1, here it is. There's not a lot wrong with the controls in Madden. In the thirteen years of the DualShock era of controllers, Electronic Arts has been fairly conservative with their button configurations. The most radical, and welcomed change was when EA decided to map sprint to R2 (RT on Xbox) instead of X (A on Xbox). This freed up the user's thumb for stiff arms and spin moves. 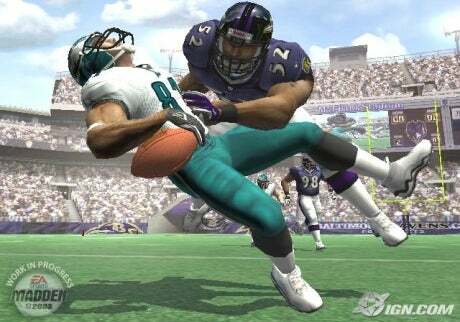 Madden 2005 introduced the greatest conceivable feature in a sports game: the Hit Stick. Madden 25 touts a “Run Free” feature that is designed to give the user more control as the ball carrier. It makes running with the ball more like controlling a player in FIFA, which is always a good thing. There are other areas where Madden can improve its controls so let's hit the list. Madden is the only sports franchise that continues to rely solely on the archaic “switch to the nearest player” logic. If EA only adds one feature, please let it be directional player switching like FIFA. 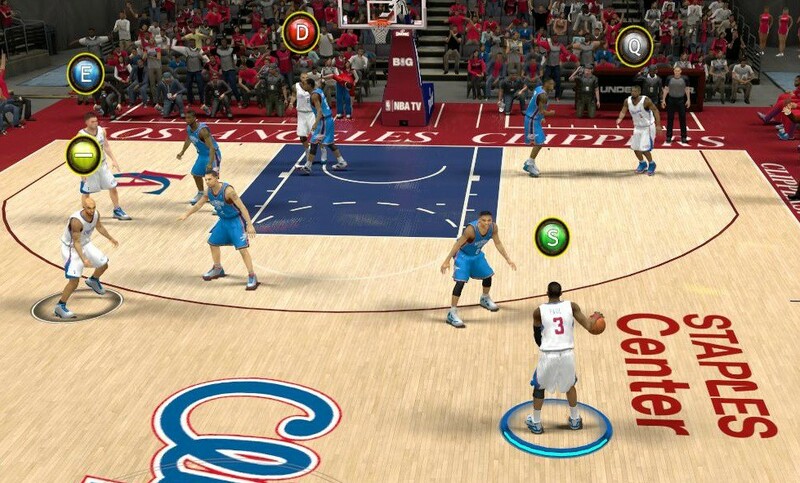 If that's too hard, at least introduce icon switching like NBA 2K. Post-snap player switching has remained unchanged since Madden '92, and everyone is tired of getting stuck as an interior defensive lineman on a 3rd and long. Everyone. Like passing, you can switch to any defender with a button press. Last year, EA introduced Ball Hawk, a feature designed to make user pass defense easier. While pass defense was more intuitive, Ball Hawk had the unintentional effect of making interceptions just as easy as pass deflections. Attempting to swat the pass was supposed to be the safer choice, but it rarely played out that way. Madden 25 should update the Ball Hawk feature so there is some kind of risk-reward dynamic to pass defense. Quarterback Evade is useless. Most people don't even know its in the game. By flicking the right stick the user can make the QB “quickly” shuffle to a new spot in the pocket to avoid a sack. The trouble is the animations for QB Evade take so long that any time gained by a successful escape is lost while the user waits for the animation to complete. QB Evade should be swapped for QB Protect, this would be a way for the QB to brace for an incoming sack. QB Protect should increase the chances that the QB can shake the sacker, and decrease the chances of a fumble if the sack is successful. EA removed the ability to lateral the football in Madden 13. Uh...why? EA needs to remember its motto: If it's in the game. It's in the game. Players in Madden have two speeds: Jog and Sprint. Sprint is used on almost every play, but has been neglected. Aside from a smart remapping, the sprint mechanics have never been altered.